Whether you are working from home or taking a bagged lunch to the office with you, fast and easy is the key to avoiding take out meals or skipping lunch altogether. 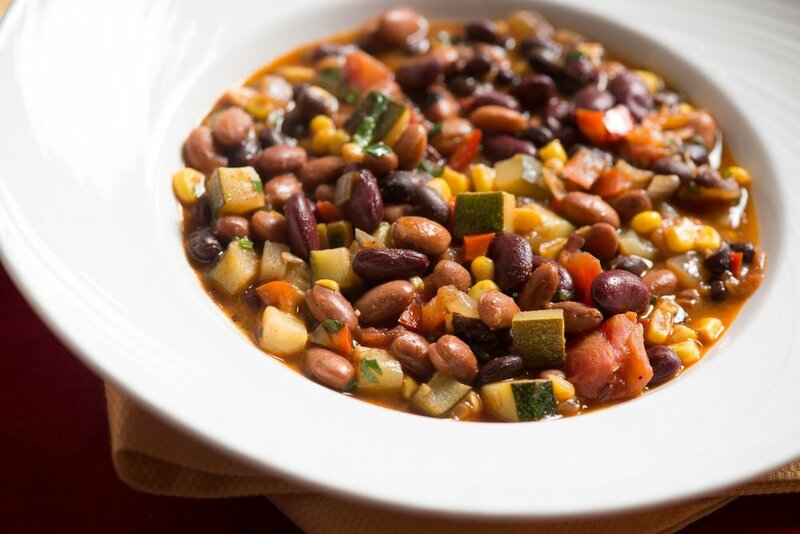 Using ingredients like canned beans and broths or frozen veggies are great little cheats that help you get great tasting fast meals into your mouth. I put together a few of my favorite recipes that you can easily make ahead and take with you or throw together in minutes and enjoy right away. - Throw all ingredients into a food processor and blend until smooth. - Spread on bread and top with your fav toppings. 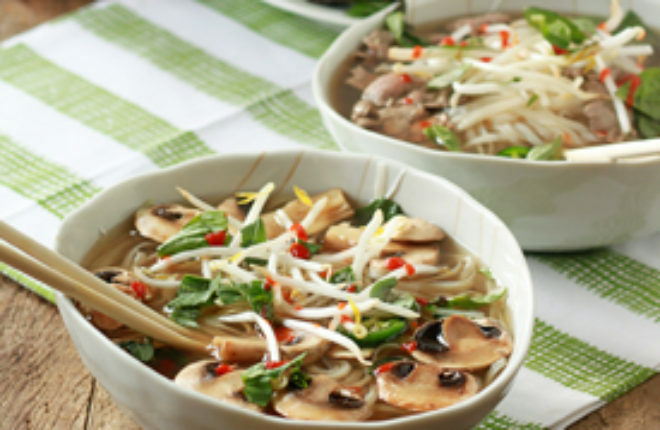 This delicious soup is made quick and easy by using Vegan Pho broth and either fresh or frozen veggies. If you can’t find Pho broth you can sub with Veggie broth and add a couple of pieces of garlic and ginger, a couple of whole star anise and cloves, a stick of cinnamon and a few drops of soy sauce. Heat up over medium high heat for about 10 minutes and remove all of the spices before add the veggies to your soup. - Pour the broth into a large pot and heat over medium high heat. - While the broth heats up, cook rice noodles according to package. - Next, add all veggies to your broth and cook for 3-5 minutes. - While veggies are cooking, add a small amount of oil to a fry pan and add cubed tofu. Cook for about 3-5 minutes, turning once or twice. Remove and place on paper towel. - Divide noodles and tofu into bowls and top with broth. Serve with the toppings you like. The great thing about salads is you can thrown almost anything you like into them. This recipe takes advantage of canned beans and frozen veggies. - Toss all of the ingredients together and let sit for 10-15 minutes before serving. This super quick vegan chili tastes amazing and can be easily frozen. Feel free to switch up the veggies to whatever you like. - Toppings: diced avocado, sliced green onions, chopped cilantro. - Throw all ingredients into a large pot over medium high heat and cook for about 20-30 minutes or longer if you have the time. - Top with diced avocado, green onions and/or cilantro. Wraps are one of those versatile foods that you can add almost anything to. If you are making these up ahead, make sure to keep the sauces to a minimum so you don’t end up with a soggy wrap. You can even pack the sauce separately and dip your wrap when lunch time comes. This recipe calls for prepared satay sauce and bagged coleslaw or spinach, making your prep easy and fast. - For each wrap, spread some satay sauce almost to the edges. Arrange some of the slaw, peppers, and tofu more or less down the center - add optional toppings. - Then fold two edges part way over the ingredients and roll up.